In this week’s parashah, Rochel Imeinu gives over the simanim (special signs) to her sister Leah so that when their father, Lavan, sends Leah deceitfully in place of Rochel to marry Yaakov, Leah won’t be embarrassed. We learn from the midrash that at the time of the destruction of the Temple in Jerusalem, all the great people of the nation of Israel came before Gâ€‘d to plead on behalf of our nation to redeem them from exile. Hashem responded to Rochel with a positive response, telling her “Min’i koleich mibechi v’einayich midima, ki yeish schar lifulaseich neum Hashem–stop your voice from crying and your eyes from shedding tears, because your actions will be rewarded, so is my word as Gâ€‘d.” We see that Hashem finds her reasoning more pleasing than that of all those that davened for Klal Yisrael beforehand. What made her approach unique? 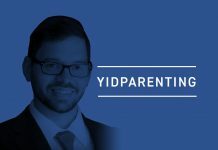 When we look at some of the challenges and tests of many of our Avos, we can see some common denominators–Avraham and even Yitzchak in respect to Akeidas Yitzchak, Yaakov with Lavan, and Moshe Rabbeinu and the challenges he faced with Klal Yisrael. Each test and challenge was clearly an external situation that was constructed from heaven, and in passing these tests, the merit could then be called upon to guarantee and serve as a merit for our entire nation going forward. Avraham, Yitzchak, Yaakov, and Moshe all had such beautiful zechuyos (merits) that they brought before Hashem. Yet the power of Rochel’s vatranus (putting others before oneself) was the one that Hashem cared for. When it comes to marriage and being mevater, considerate, this is not only a matter of going above and beyond the call of duty. In marriage there are either two winners or two losers. Because marriage is a unit, getting one’s way does not leave one coming out ahead. The next time you are faced with a situation in your marriage where you are mevater, remember that it is you that gains the most from giving in. Later in the parashah, when Rochel ultimately also marries Yaakov, we see that she at first does not have children and only after some considerable time goes by is she blessed with Yosef, about whom she says “asaf Elokim es cherpasi,” Hashem has gathered in my shame. Rashi offers two interpretations of this pasuk. One is that the shame of being childless is removed from her as she is no longer an akarah, barren. The second is that because she now has a child she no longer will be embarrassed if something breaks or if something was eaten that should not have been. The explanations that Rashi bring seem to run from one extreme to the other. Why should something as difficult as not having any children be as good of an explanation as is having an excuse for mishaps in the home? Try to steer clear of seemingly small problems at home altogether, and when you are faced with something minor, keep it in perspective. If supper is burned, that’s okay. There’s always bread in the freezer or cereal in the cabinet. If the baby is screaming when you come home instead of sleeping, then help put the baby to sleep instead of getting frustrated that your wife can never get the house to be quiet and peaceful for when you arrive. If the garbage was not taken out, then smile and do it yourself instead of getting annoyed at your husband for not doing his chore and leaving you with the dirty work. By learning to be mevater on the little things in life and at home, and not blowing them out of proportion, we should all be zocheh to happy, peaceful homes. Five Towns Marriage Initiative provides educational programs, workshops, and referrals to top notch marriage therapists. FTMI will help offset counseling costs when and where necessary and also runs an anonymous shalom bayis hotline for the entire community Sunday, Tuesday, and Thursday evenings from 10:00-11:00 p.m. For the hotline or for more information, call 516-430-5280 or e-mail dsgarry@msn.com.